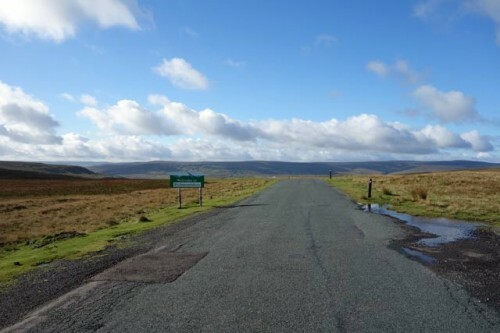 Grinton Moor is a testing climb from Reeth towards Leyburn. 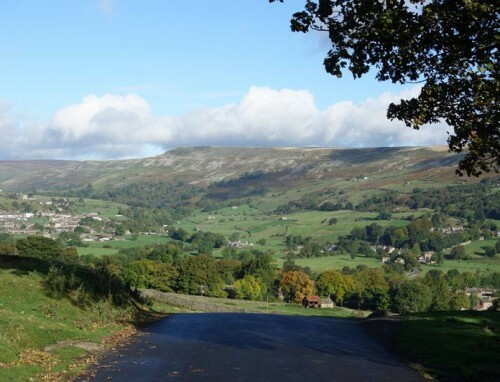 Starting in the village of Grinton. It climbs sharply out of the village before winding it’s way up the moorside. 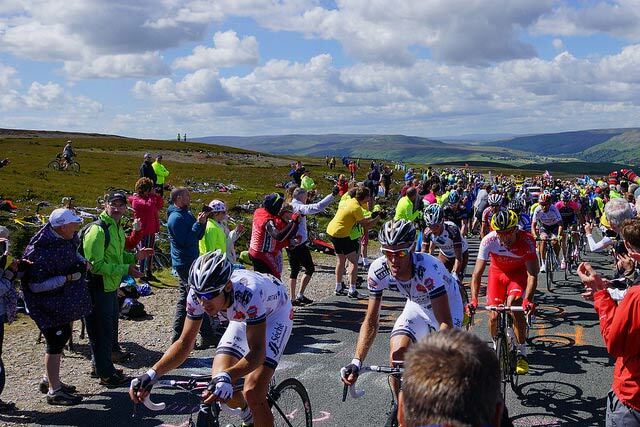 In July 2014, the Tour de France visited the climb. 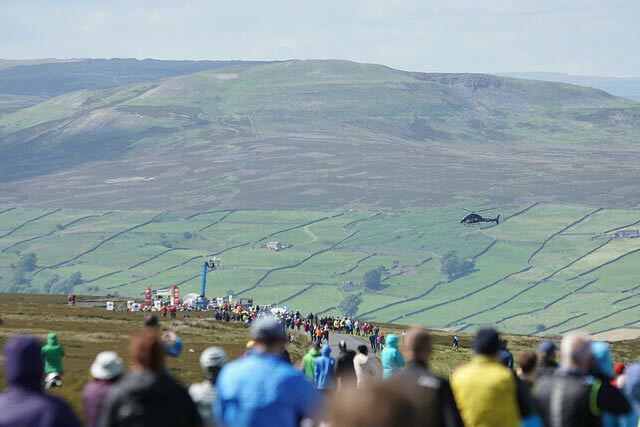 It was the last categorised climb on stage one, and they rode up at a fair pace. Last Tuesday at the Stang was wet, windy and misty so it was a good to go up to North Yorkshire and see the sun out for a change. Arkengarthdale may be a little remote, but with a bit of sunny weather and it becomes a very nice place to be. 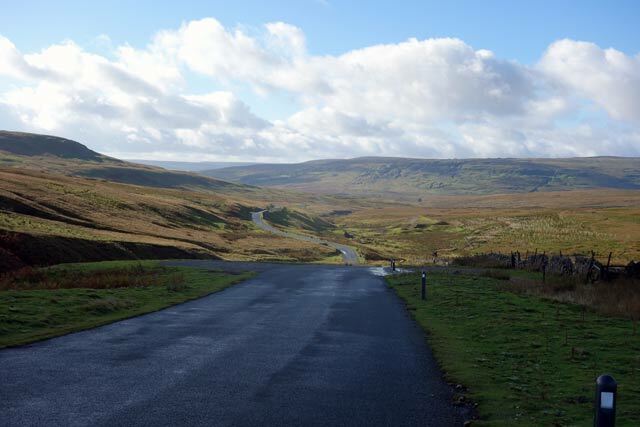 Even the drive over to Reeth was pleasant with the sun out (and gps turned off). I noted the climb out of Reeth towards Leyburn (over Grinton moor) for future reference. 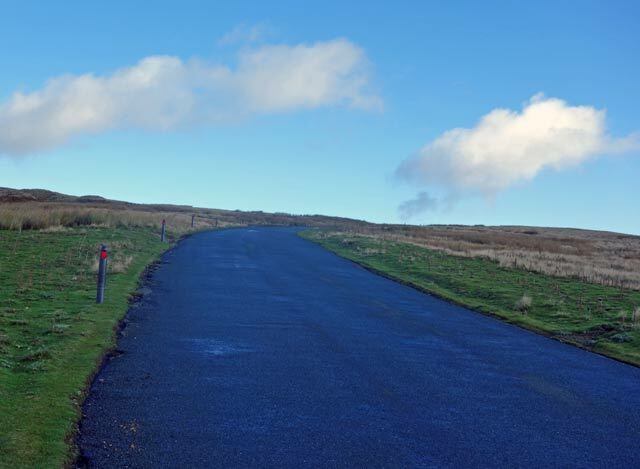 It looks a nice 3 mile long climb, with nearly 300 metres of vertical height gain over a super smooth road surface. 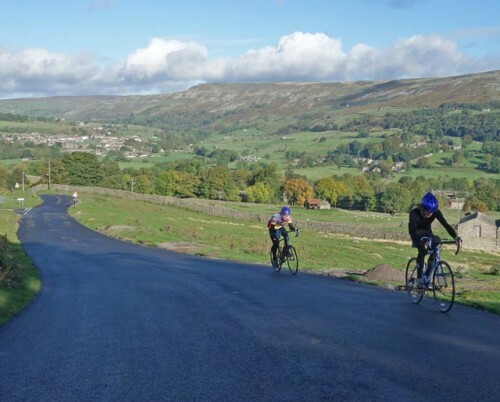 I got a few photos from the climb and two cyclists obliged by riding into the picture. It was simply gorgeous in the sun. Yesterday, I also got interviewed by Cycling Weekly, who will be doing a preview on the national hill climb championships next week. Do you think you’ve got a chance of wining? – that was about the height of my lucidity. Don’t miss the big preview next week is all I can say. By the way, there’s no mobile phone reception near the climb. Tuesday was a fierce headwind, but Thursday was more of a tailwind. Unsurprisingly it’s much quicker with tailwind. One of the false flats on the Stang – you think you’ve made it to the top about 3 times before you actually have. I’m glad I got a second chance to practise. As hill climbs go, it’s a little on the technical side. A few fast gear changes are required for the sudden changes of gradient, and you need to work out how hard to go on the first steep section of the climb. I’d hoped that ‘equipment angst’ of Long Hill would be no more. (What’s best bike to use?). But, even after several goes, I couldn’t quite resolve the whole tribars vs non-tribars debate. As soon as you get on them, you’re itching to change gears. There’s probably nothing much in it either way, but the thought of losing a few seconds to the wrong choice does weigh a little on your mind. Inspired by this years Tour de France Mountain time trial (where riders usually changed time trial bikes half way through) I’ve decided the quickest way to climb the Stang would be to ride a fixed gear to the top of the steep section and then jump on a time trial bike cunningly left by the side of the road. The bike changes in the Tour time trial made great TV. I wouldn’t be surprised if one day, all time trials have compulsory bike changes like Formula one to make it more interesting for TV viewers. 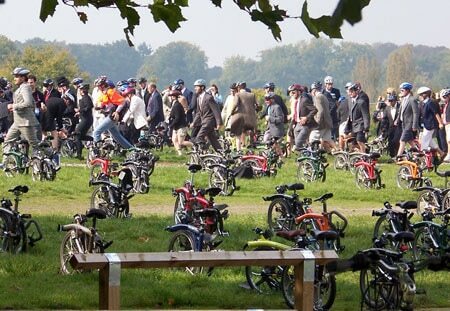 Or perhaps they should imitate the Brompton World Championships and make people run to their bikes like the old fashioned motor racing. If you can have cobbles in the tour, why not add a few cyclo-cross style fences for riders to jump over?